E3 has a long history of developing cutting-edge interactive web content going back to the early days of web-based Flash media. In recent years, as web technologies have continued to evolve, E3 has utilized HTML5 and Phaser game engines in the development of new web projects. 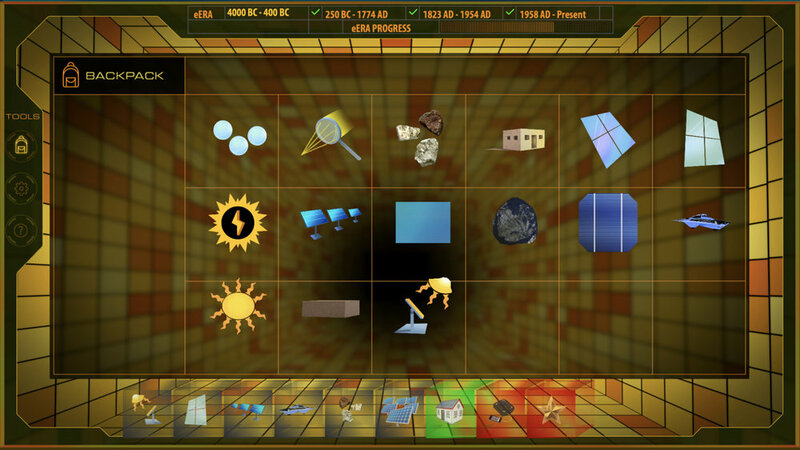 The eJourneys are interactive learning programs that explore hydropower, wind, and solar renewable energies. Students travel through time to explore the technological histories that make these energies what they are today. 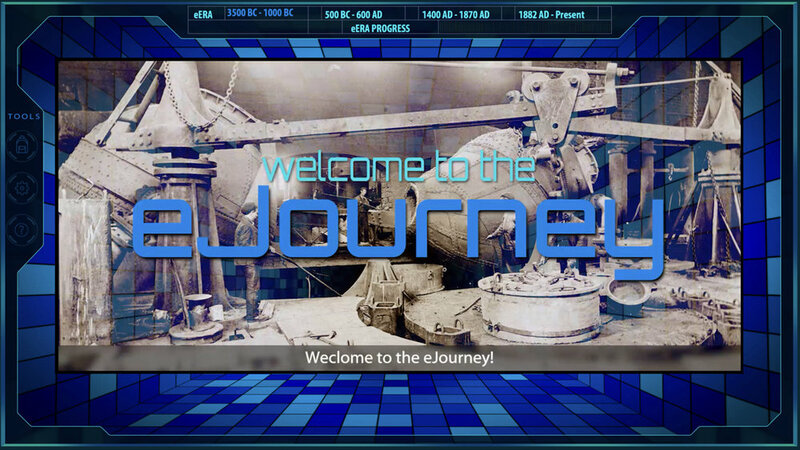 Originally launched in 2003, the eJourneys have been redeveloped and are part of Salt River Project’s Powering Our Future module for 4th-6th graders. Powering Our Future is a comprehensive and fully-developed education program including lesson plans, videos, and supportive resources to guide instruction focused on energy use, electricity, renewable energy, and energy conservation. Modules designed for students in grades 4-6, grades 6-8, and high school contain a diverse set of lessons emphasizing hands-on, classroom-based activities, including interactive computer-based learning experiences. The 4th-6th grade module features the eJourneys (exploring hydropower, wind, and solar renewable energies), and 4th-8th grade classes in the Phoenix area can schedule The SRP Powering Our Future In-Class Program. Powering Our Future is sponsored by Salt River Project and is available free of charge. 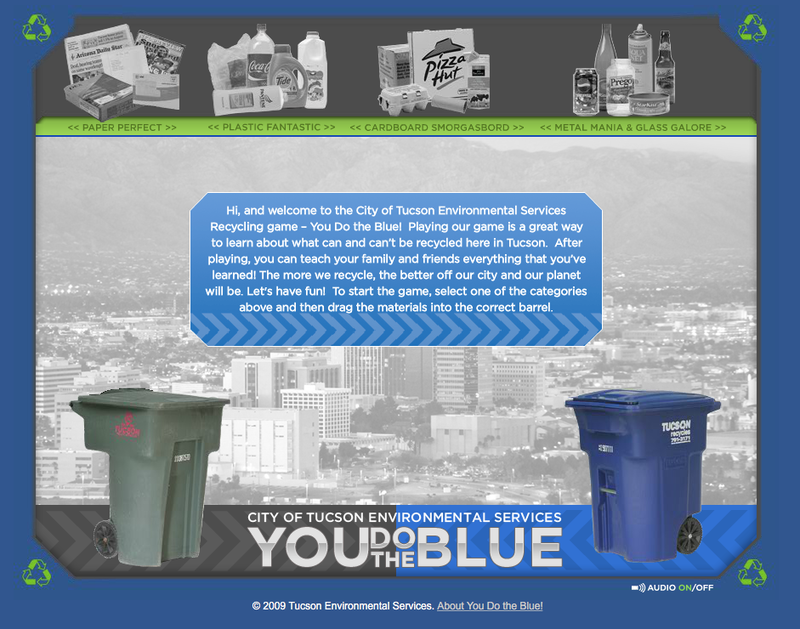 You Do the Blue is an interactive and informative recycling game designed for City of Tucson Environmental Services. 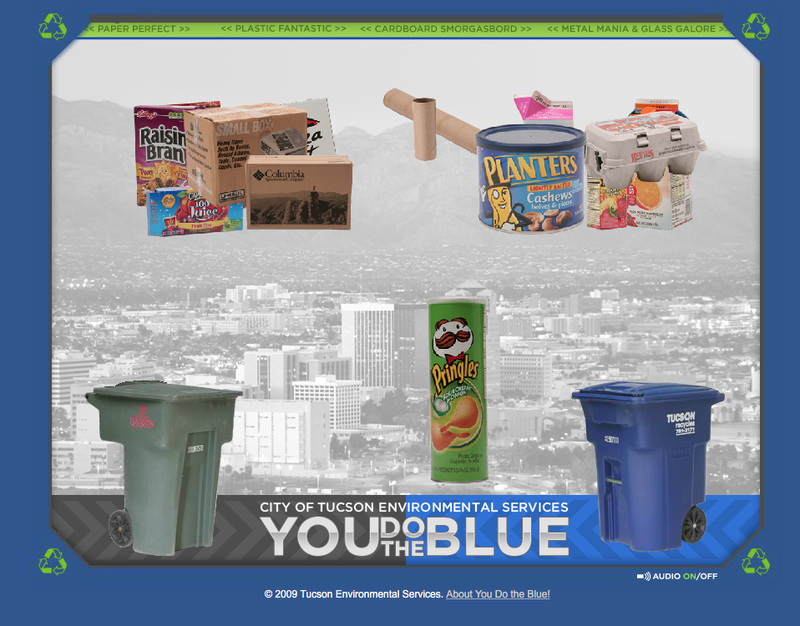 Players learn about what can and can’t be recycled in Tucson, by playing a computer game with images of real products used in our daily lives. Information is included about how to reduce, reuse and recycle, why certain items cannot be recycled, and what certain materials become once they are recycled. Note: Flash needs to be enabled to play You Do the Blue.